If Tybost is given with atazanavir or darunavir, coadministration with rivaroxaban is not recommended due to a potentially increased bleeding risk. 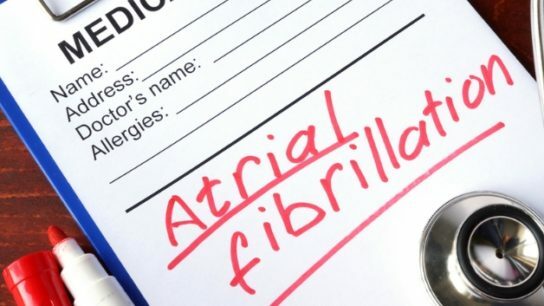 Patients with atrial fibrillation who take NSAIDs in addition to oral anticoagulants may have an increased risk for major bleeding and stroke. Apixaban demonstrated superiority over warfarin in terms of reducing the risk for major bleeding in patients with atrial fibrillation and end-stage kidney disease who were on dialysis. 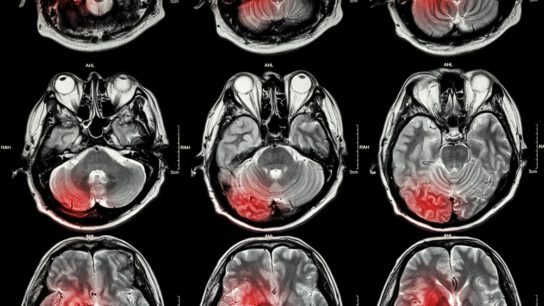 Apixaban reduced risks of major, intracranial, and gastrointestinal bleeding compared with warfarin. Dabigatran may be associated with a risk reduction of major vascular complications in patients who develop a myocardial injury after noncardiac surgery. For this study, researchers searched several large databases (from 1980 to 2016) for randomized, controlled trials (RCTs) that compared clinical outcomes in patients on DAPT taking PPIs or H2RAs. Troponin-T, N-terminal pro-B-type natriuretic peptide, and growth differentiation factor-15 may offer prognostic utility on mortality and bleeding events in patients with atrial fibrillation who receive anticoagulation.